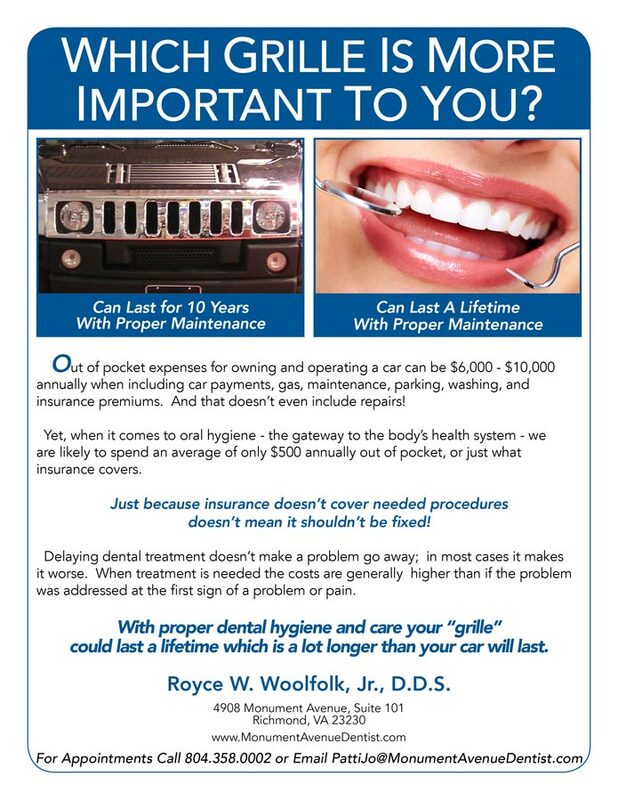 Welcome to Monument Avenue Dentist website, the home of Dr. Royce Woolfolk, D.D.S. However we do work with all insurance companies that provide dental benefits and will be happy to file claims on your behalf. The patient is responsible for the difference if there is a variance in the amount of services rendered and what the insurance company allows. A service charge of 1% is accrued each month for any late payments received after 30 days. We accept Visa, Master Card, American Express & Discover. Those patients who prefer to use cash are expected to pay the day services are provided. We take payment over the phone by credit card.